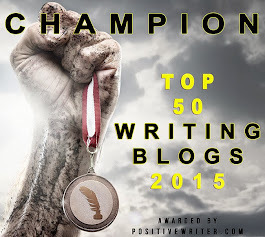 Writing is NOT just a solitary pursuit! We've all heard it said that writing is a solitary pursuit. We can even visualize writers in ages past, slaving away in garretts or hermit-like abodes. In reality, writing is an endeavor built on forging relatioships. I'll go even a step further and propose that writing something for publication is like going on a first date! If you think about it you'll see it's true. With writing, like first dates, the first impression counts. When you write your first line is your first impression and many times it determines whether or not your reader will go any further in the relationship. One mistake we make is in how we present our story (in fiction-especially book length). We've all met people who try to give us their life story in the first thirty seconds we meet. It's not comfortable and I often find myself running for the exit. This was illustrated in a popular episode of the TV show Seinfeld. Does anyone remember the 'Close Talker' episode? Sometimes we open our novels with too much information and we overwhelm the reader. There's a term for this, backstory. Another first date mistake we make in writing is in non-fiction. We've all met the person who exaggerates everything. It's hard to take anything they say at face value. I've actually found myself looking outside, if this type of person says it's sunny, just to verify the truth. We can come across that way in articles and non-fiction books if we aren't careful about where we get our facts. It takes time to do in depth research, but the reputation you'll have as a writer is priceless. The last mistake we sometimes make is the blind date. Now, I know there are exceptios to the rule, but generally blind dates don't end well. It also doesn't end well for us as writers if we don't know our audience. We have to take time to know who our audience is. This is equally true if we're writing books or articles or devotions. So now it's your turn - how have your relationships with the reader turned out? Welcome to Weekend Worship! This is a new section of my blog where I share a short devotion - just something to make us think. So join me here, every Saturday morning. Last Easter I found myself huddled beneath the cross where Jesus hung dying. Now, for those of you that know me, that’s not as strange as it seems. I love the theater; I even majored in costume design for a time in college. But now, my favorite theater is found in the church. I love being involved in church dramas. For me, the Bible comes alive when it’s being portrayed on the stage. I do have to confess that I don’t like being one of those onstage – hence the major in costume design. I absolutely hate being in front of a large group of people. I’ve found my place, though. I love being part of the stage crew and that’s what I was doing last Easter. So, last Easter I huddled beneath the cross while Jesus hung suffering. I was dressed all in black, trying to make myself as small as possible so I wouldn’t detract from the actor portraying Christ. But as I crouched there, I heard his groans and watched him writhe in agony. I heard the cry of the crowds and felt my heart chilled by their impassive faces as they observed the drama. Was this the way it had been 2000 years ago? The question in my mind transported me to ancient Jerusalem as my heart flooded with parallels. It was no longer just a drama on stage, Jesus’ agony and sacrifice became real in a way I could never have imagined. The black I wore represented my sin and my invisibility to God in my wretchedness. My silence, while necessary and expected during the performance, stung me with the resemblance of real life. The world expects me to be silent about the cross, or at least tasteful. And so often I comply, remaining quiet instead of speaking out. Finally my attempt to remain hidden reminded me that while the world might not see me as I really am, Jesus had a perfect view of me while he hung suffering. Yes, last Easter I found myself huddled at the base of the cross where Jesus hung dying. Today I want to share a fiction writing program that I own and really love. It’s called Snowflake Pro. It was developed by writer, Randy Ingermanson. This is an amazing program that takes you from the big picture of your story to the tiniest detail. I do have to admit that I tried this program reluctantly. I pride myself on being a ‘seat of the pants’ type writer—meaning I don’t outline the story in advance. I thought a program like the Snowflake would cramp my creative style. Boy was I wrong! By helping me to get the details early, it freed my creative energy to work on the story. Now, I still don’t follow a concrete outline, but I love working with the Snowflake program as I develop my story. Randy also has awesome customer service and the program runs on Mac or PC. It comes with an unbelievably generous license to run the program on up to 5 computers. All in all, this is one program I recommend. 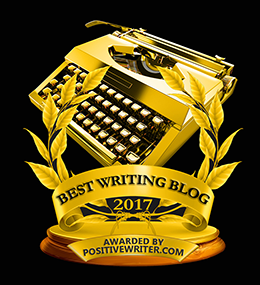 NOTE: Randy also has a great e-zine for writers called Advanced Fiction Writing E-zine. It’s free and I read each issue every month! Remember to join the conversation! Last week I gave you some tips on how to connect with the reader through specific nouns and active verbs. This week I want to zero in on the specific verbs, nouns and adjectives we choose when we write. I have to give a special shout out to author, Mindy Starns Clark, because she pointed this problem out in a manuscript I showed her last year. The particular piece I showed her was fiction, but I’ve found this technique just as helpful with articles and other non-fiction projects. She pointed out that my verbs, and some of my adjectives didn’t match the mood of my scene. I was attempting to write a very tense scene where my main character was quite scared and tense. Instead of amplifying and reinforcing this mood with my verbs. I used pleasant verbs. Let me give you an example. Setup: My main character, Pet, has just received a death threat on her cell phone. Still clasping the phone, Pet scrambled into her wooly robe and rushed down the hall. As she plopped down in an overstuffed chair in the corner she dropped the offending phone beside her and began to massage her temples. How could this happen? Notice the comforting words I unconsciously chose? Still clenching it in her fist, Pet scrambled into her robe and rushed down the hall barefoot, wincing at the cold hardwood floors. Without turning on any lights, she crossed into the living room and knocked her shin on the coffee table. She balanced on the edge of the couch, running her fingers down her shin to make sure there was no blood. The action in the two examples is basically the same, but the specific words I chose now matched the mood I wanted to convey. To make this easier, get in the habit of making word pools. A word pool is a list of words that convey the mood or sense that you wish to show. Decide on the emotion your character is feeling and use specific words to convey that feeling. Layer in senses to reinforce the emotion. I use the technique of word pools when I write articles for print or online. For example, when I write for a men’s publication, I have a list of words that I think convey a specific masculine viewpoint. Conversely, I have a list of words that convey a female viewpoint. When I write for a men’s magazine, I’m very careful not to use any of those ‘girlie’ words. Today I want to review one of my favorite writing books, Anne Lamott’s Bird by Bird. Unlike the other books I’ve reviewed so far, it’s not a book on the craft of writing. At least not in the sense of writing do’s and don’ts. It is inspirational. I found her honesty incredibly freeing. 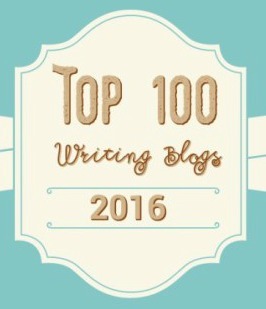 She shares the joys and pitfalls common to all writers. She reminds us that, while writing is a solitary pursuit, we are not alone. My favorite chapter of the book is Sh***y First Drafts. I know the language is strong, but it got my attention. She gave me the permission I needed to write first, edit later. I realized it was perfectly fine to write the story or the article and come back a second or a third time to do the editing. I don’t know where I got the idea I had to be perfect. But in case you have the same struggle, she has a chapter on Perfectionism. Where ever you are in your writing journey, I recommend you add Anne Lamott’s Bird by Bird to your list of must-have’s. This book belongs on every writer’s reference shelf. Today I want to share how to connect better with your reader through your choice of words. Study these examples of how choosing active verbs and specific nouns makes a huge difference—whether you write fiction or non-fiction. The scent was fresh and new like a flower after the rain. This sentence isn’t bad, but it could be great. The writer is employing a technique called telling. The fresh scent hung in the air like a late blooming rose after the rain. This sentence is great because it doesn’t tell us about the smell, distancing us from it. Instead, the writer invites us to remember a smell through a technique called showing. Whether you're writing a story or an article, example #2 would be a better choice because it draws the reader in and invites them to experience what is happening. Let’s look at two more examples. Again, the writer is telling us how Susan felt. Susan paced across the floor, wearing a pattern in the dust. Can you see the difference? The writer is again pulling us in with word pictures, showing us the action. This week, look for places you can make your own writing more vibrant through active verbs and specific nouns! Note: Telling isn't always bad. There are times when telling is better than showing. You should use telling when the action isn’t important or when it’s a common action that doesn’t need emphasis. Now it’s your turn. Post a comment with this sentence rewritten. Today, I'm pleased to announce a guest reveiwer, freelance writer and photographer, Mary Denman. Mary is one of my critique partners and I'm excited to bring you her review of Stein on Writing, by Sol Stein. Are you thinking about writing a book one day? Maybe you already have a manuscript well under way. 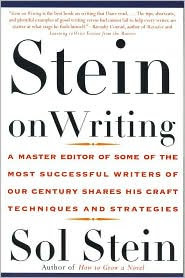 Then Sol Stein’s book, Stein on Writing is one you need to get your hands on quickly. 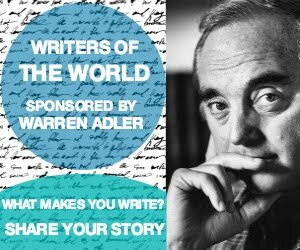 A veteran editor of the publishing world, Stein takes his vast knowledge of the industry and offers you a chance to learn from one of the best. What can you learn? Everything from creating fascinating characters to understanding plotting. He explains showing, not telling and how to create tension. Need to liposuction the flab from your writing? He covers that too. Throughout this book, Stein empowers you to go through your own work, whether you write fiction or nonfiction and edit it successfully. His editor’s heart comes through in the teaching style found in the book. Not only does he explain what you need to know and look for to improve your writing, but he also gives examples from published authors to illustrate his point. And, to make sure you’re engaged and getting the most you can from the book, he has exercises in every chapter for you to put into practice what he just taught. This book will take you from the start of your manuscript to your final revisions. When I talk to someone who’s just starting to write, this is one of the first books I recommend. 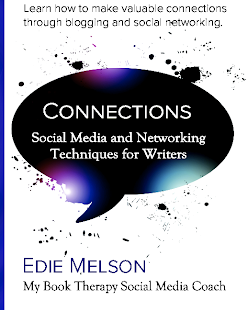 It’s one of the foundational books for helping writers understand the many components and nuances of writing. The cover on my copy is starting to curl from use. Every time I pick up this book to reread it, I learn something new. And that makes it a valuable tool in a writer’s arsenal. Mary Denman, a home-schooling mom with 5 kids, has been married to her college sweetheart Todd for 22 years. 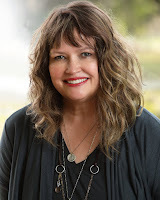 She began writing professionally a few years ago and has published articles in several magazine, including Focus on Your Child, by Focus on the Family. She’s also a published freelance photographer. She has finished her first novel for young adults and is well into the second book of the series. Every writer wants to connect with her reader through the words on the paper or screen. And we’ve all felt the thrill that comes from a perfectly crafted sentence. You know the type – it’s made up with something that makes the reader feel something, think about your point and apply what you’ve just said. When I started writing I referred to those rare instances as magic or inspiration. Now, with some experience behind me, I’m a bit more deliberate in crafting them. 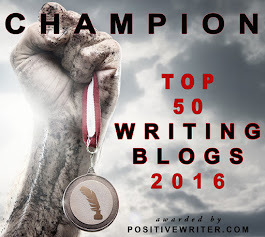 I want to share some of the tricks that will help you make your writing shine. 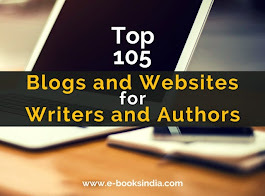 These suggestions are specifically for non-fiction freelance writing, articles, devotions, etc. But they also translate well when writing fiction. First, you want to find a specific point of connection with your reader. As I’ve said before, writing is all about relationships. There are several ways to connect with your reader. Tell a story – you can use this to show common ground with the reader. Ask a question – this can show that you understand what the reader is concerned about. Tap into an emotion – it helps to engage the reader’s heart when you begin. Second, you need to establish credibility with your reader. What you want to do is invite the reader to walk down this path with you. You may be writing an article about weight loss and want them to consider your method. There are several ways of doing this as well. Quote an expert – if you’re not a fitness expert and you’re writing that weight loss article, borrow the expertise of someone who is. Use personal experience – maybe you’ve lost weight. This would be relevant to the reader. Find an understandable statistic – statistics are good to use IF they are quantifiable. In other words, 3 out of 4 people, not 15.5 percent of the population under age 30. Word of Warning – don’t lecture, preach or point your finger at anyone. We’ll explore more tips next week. In the meantime, share how you connect with your reader. This week, instead of reviewing a book on writing, I want to share my experience at a writing seminar I attending last weekend. As I mentioned on Monday, I had the opportunity to spend last weekend in Atlanta GA, at an amazing seminar, Writing Bestselling Fiction, led by Chip MacGregor and Susan May Warren. It’s one of several seminars offered by The Master Seminars. These seminars are the brain child of Chip MacGregor, President of MacGregor Literary. He’s teamed up with some outstanding professionals in the writing industry, including Susan May Warren, Lisa Samson, Susan Meissner, Jim Rubart and Tiffany Colter. There are several things that made this particular seminar valuable to me. First of all, the teacher/student ratio. Although they do accept registration in some of the seminars for up to fourteen students, the one I attended only had ten. I felt like I got to spend two full days with industry professionals advising me on my writing and career. The second thing I got out of this weekend was practical writing instruction that I could immediately apply to my work. It was an intimate enough setting so that I felt very comfortable asking specific questions about my WIP (work in progress). So many of the classes and lectures I’ve attended haven’t always been that relaxed and the lessons not that easy to apply. The third thing I took away was encouragement. Now, don’t get me wrong, a lot of conferences and seminars encourage writers. But very few give specific, encouraging feedback about what the writer is currently working on and the direction of his career. I got those very things from Chip and Susie. I personally recommend the seminar I attended - Writing Bestselling Fiction - and if it’s any indication (and I believe it is) you should run, not walk to register for one that fits your schedule. I will definitely be registering to attend the other two that are offered. For me, this was a great investment and I will continue to reap the benefits for years to come. So tell me, what seminars or workshops have you attended? I don’t know about you, but my inbox is stuffed to overflowing with announcements regarding upcoming writing events. There are national conferences, regional conferences, local workshops and online courses. How is a writer to choose which ones will be most helpful and appropriate? Last week I posted a tongue-in-cheek top ten of why to attend a conference. This week, let’s get serious and I’ll give some good guidelines to help with the decision. Expect lots of classes for the beginner and advanced beginner writer. Some conferences do have a few sessions aimed at the advanced writer. Again, lots of classes for the beginner and advanced beginner writer. Depending on the length of time, the conference will follow the same basic setup as a national conference. This past weekend I attended a fabulous workshop, The Master Seminars, by Chip MacGregor and Susan May Warren and I'll be reviewing it in my Thursday Reviews post.